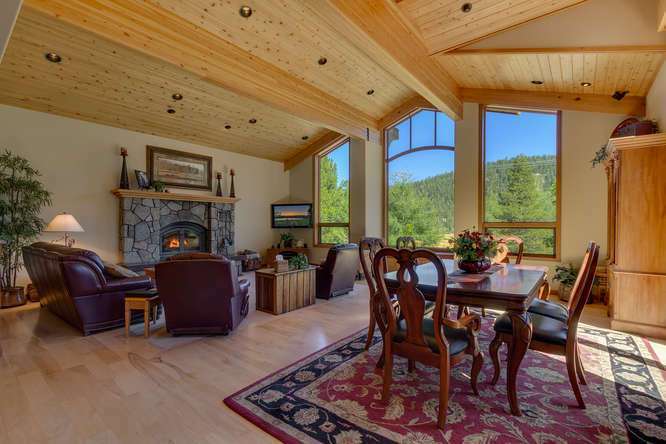 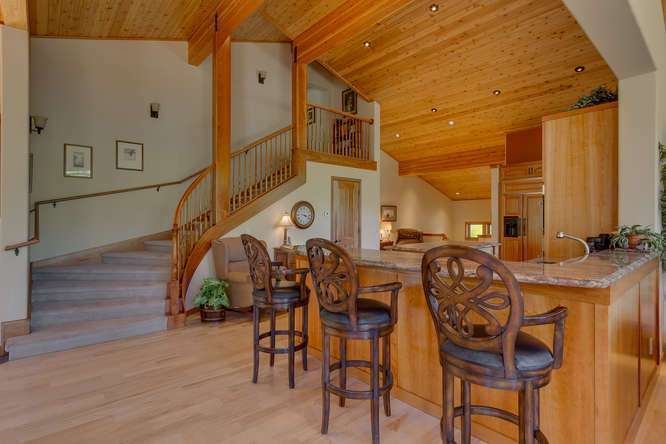 This exquisite Squaw Valley ski resort home has a desirable location within close proximity to the ski lifts and offers luxury amenities and incredible views of KT-22 and Red Dog. 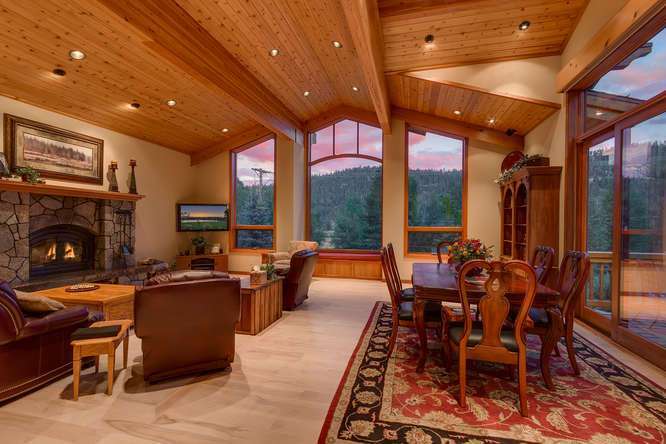 Dean Hall construction worked with the owners to carefully plan out every detail of this impeccable custom mountain home. 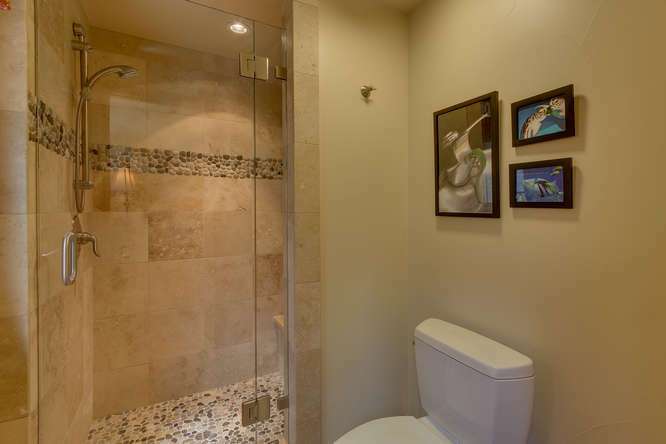 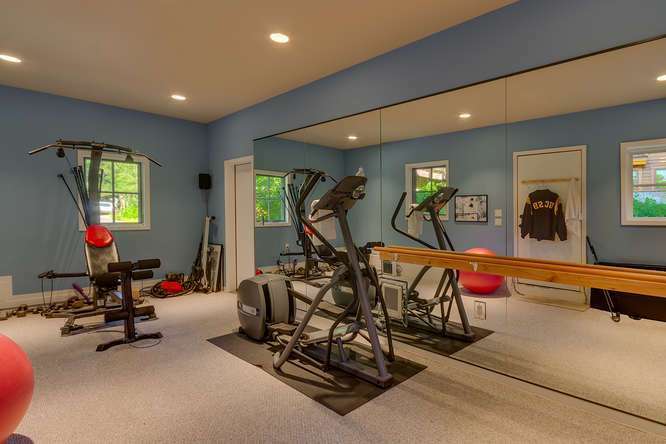 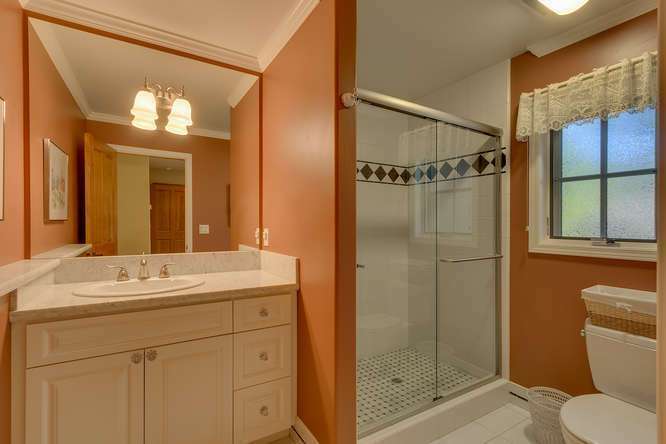 Luxury upgrades include radiant hydronic heating, cherry cabinetry, smart lighting and window coverings, hickory hardwood floors and a five filter water purification system for the entire house. 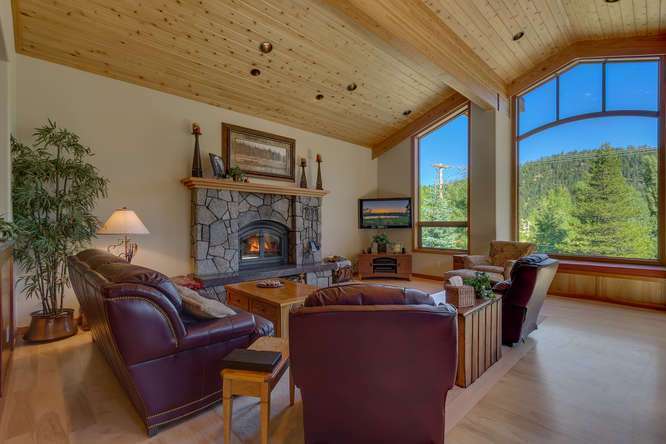 Ideal for entertaining, the open floor plan of the great room, chef’s kitchen and dining area feature majestic views of Squaw Valley ski resort framed by soaring picture windows. 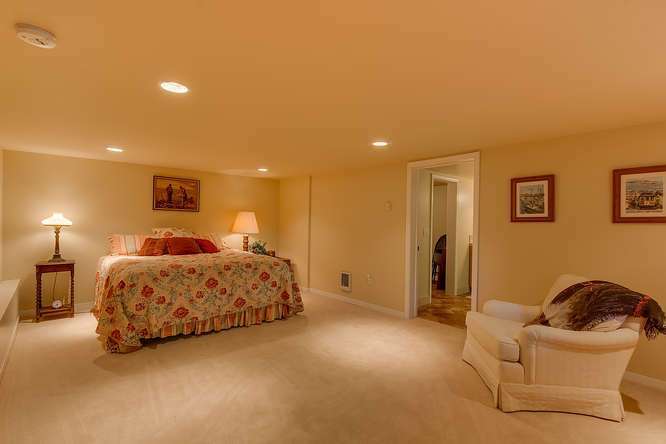 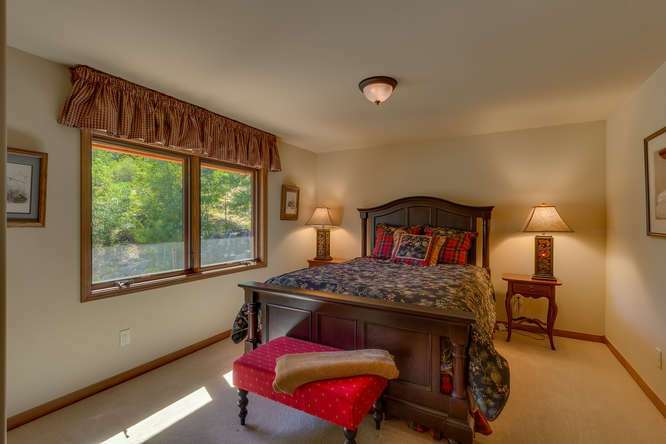 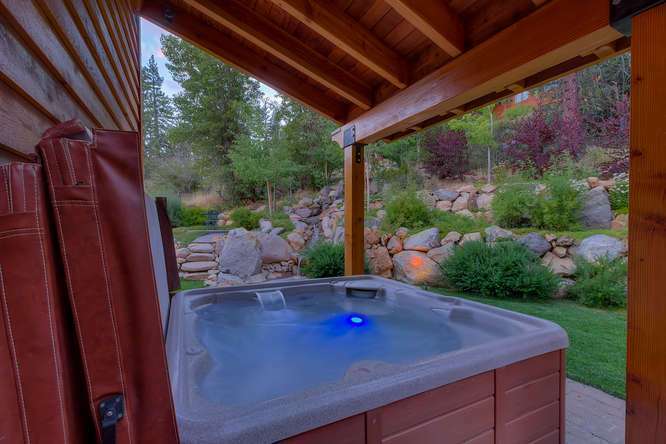 Retreat to the master suite and enjoy a private fireplace, dual walk in closets along with direct access to the back deck and covered hot tub. 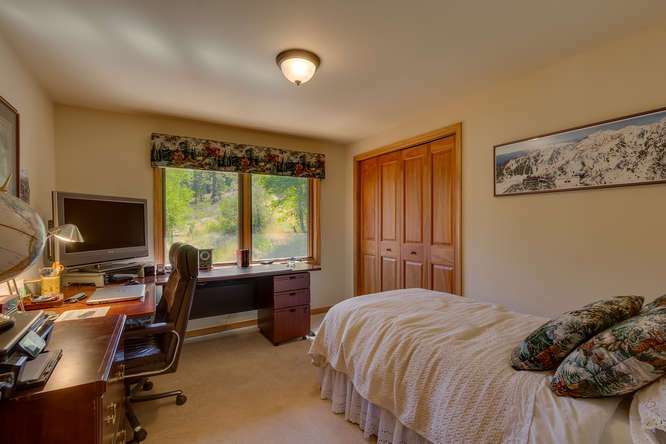 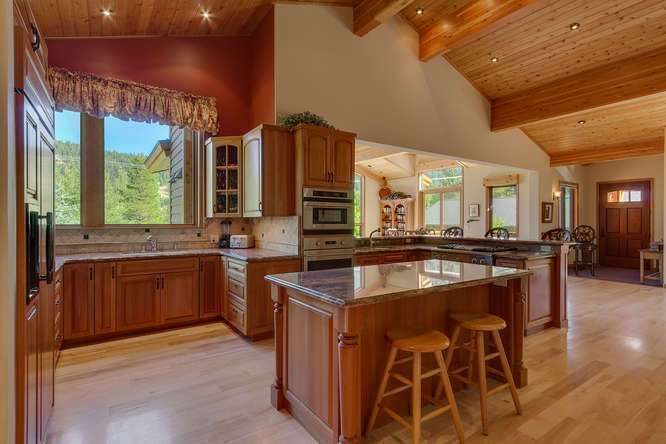 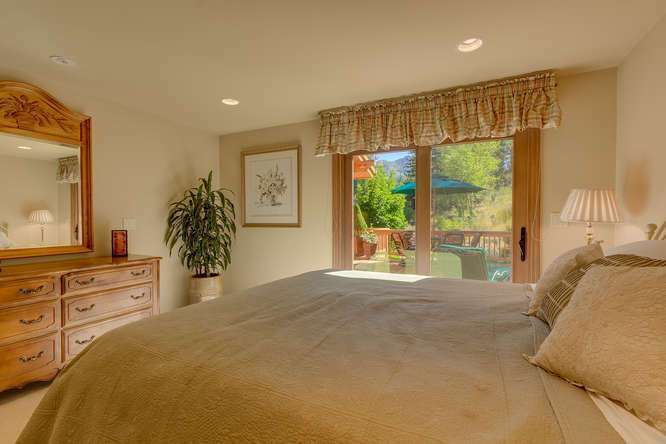 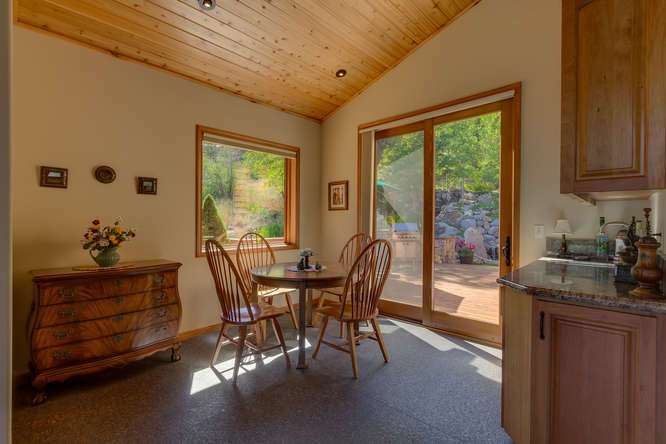 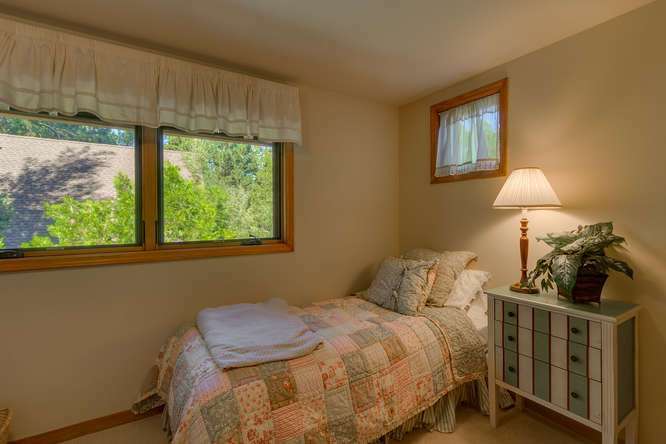 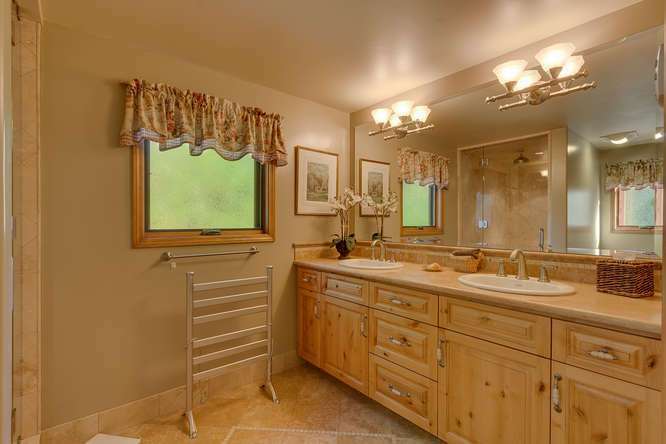 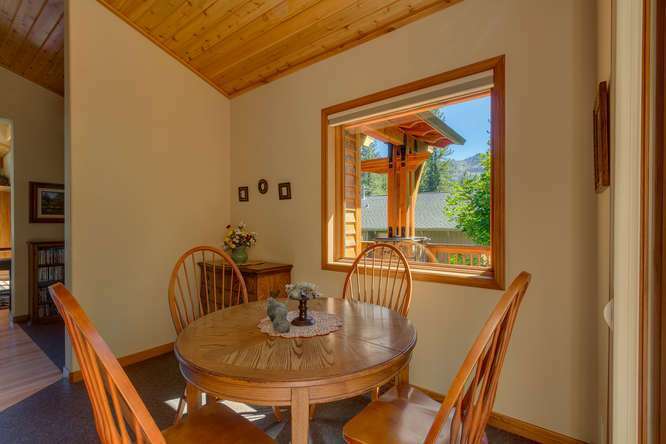 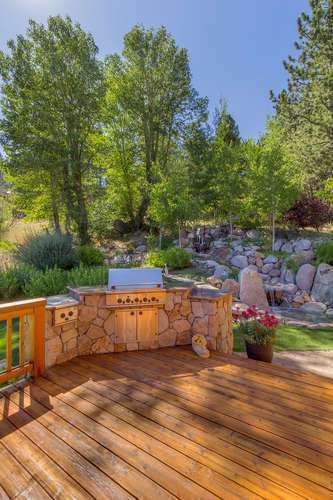 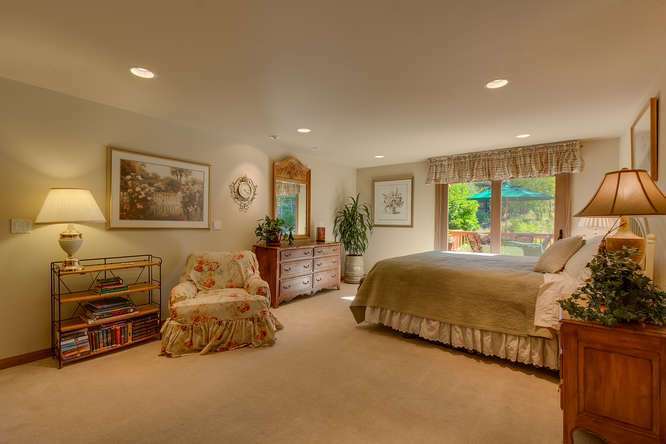 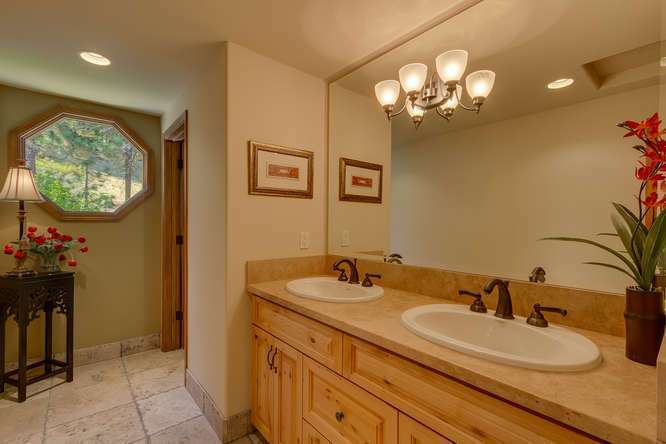 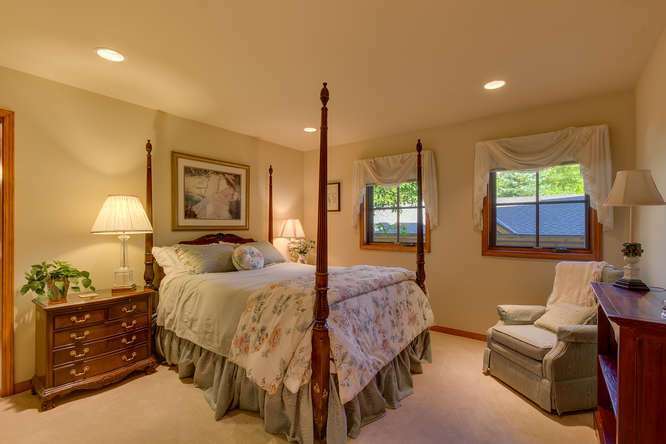 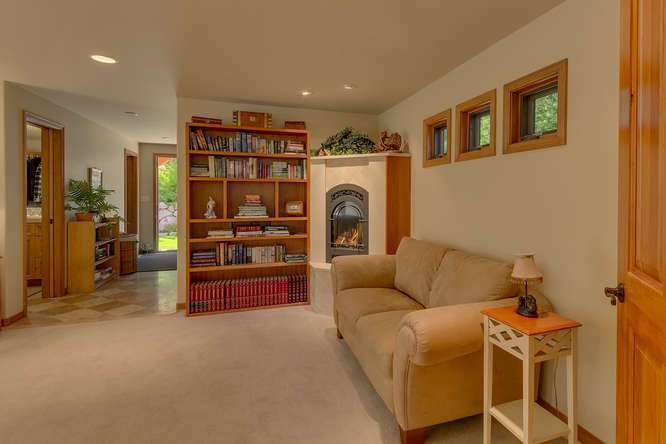 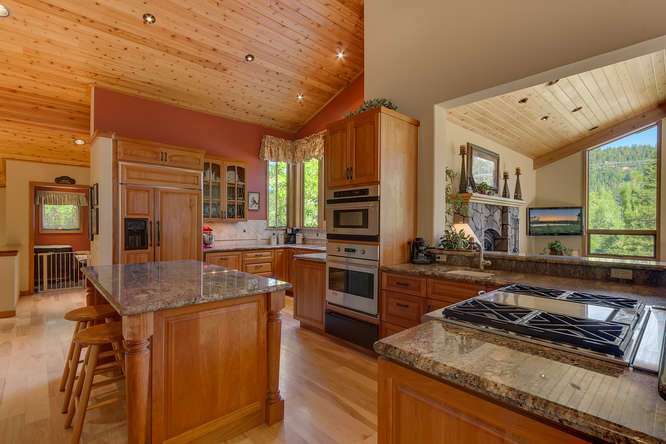 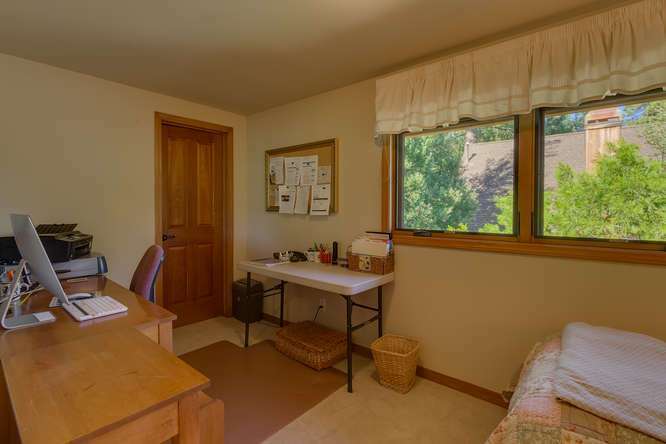 Situated on sunny a 1/3 acre lot, this home is just as beautiful outside as it is inside. 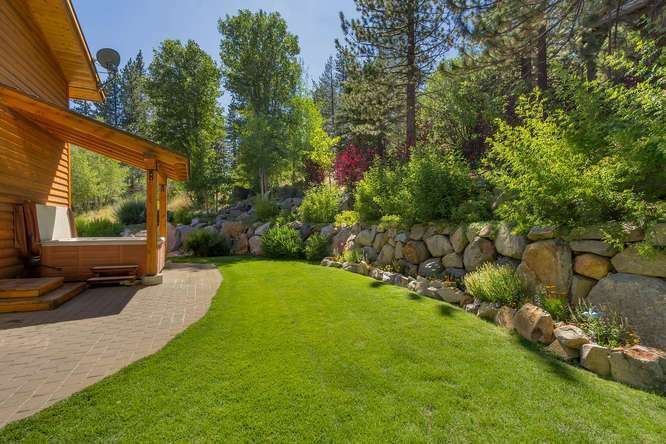 The grounds have been impeccably landscaped with rock, lawns, native perennial plants, trees and flowers to complement the expansive back deck. 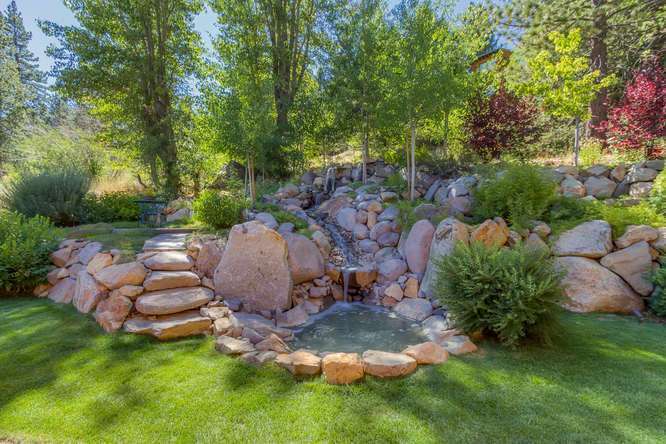 Perhaps the most impressive feature of the back yard is the gorgeous waterfall that can be heard from almost every room in the house offering a sense of tranquility no matter where you are. 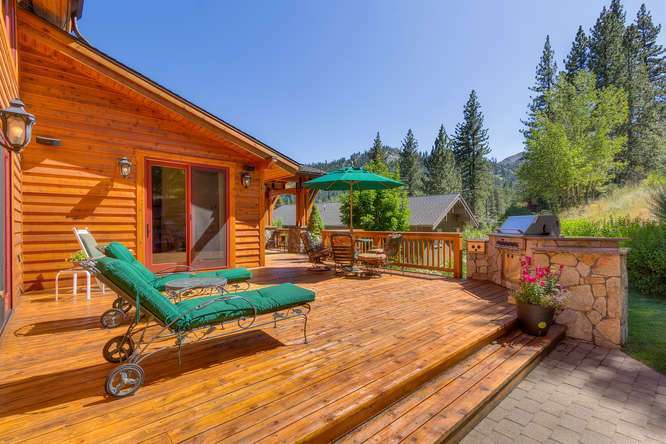 Located less than a mile from the Squaw Valley locker room, skiing and riding at one of the best resorts in the world is just a short drive from this property. 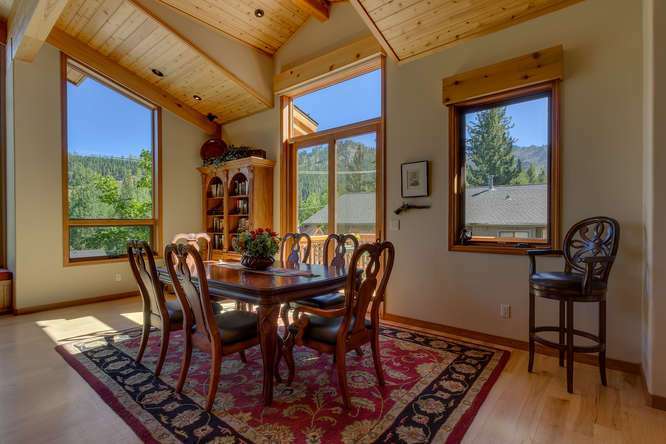 In the winter months, Squaw Valley offers some of the best skiing and riding for all ability levels as well as non-ski activities such as ice skating, fantastic shopping and dining experiences, and numerous spirited winter events. 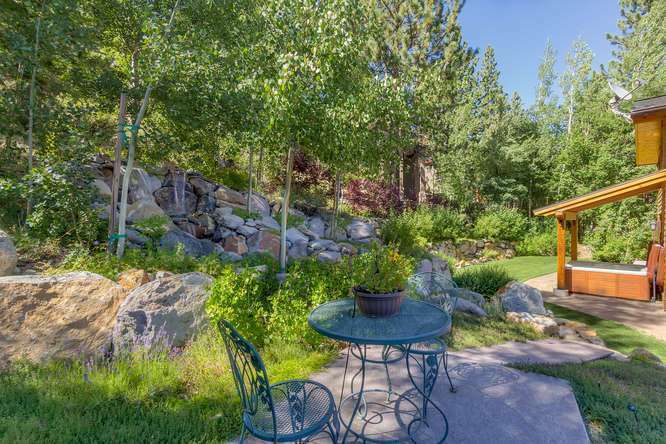 In the summer months, enjoy miles of nearby hiking and biking trails, take the Tram up to High Camp and enjoy one of the most beautiful pools in the region, or spend the day golfing at Squaw Creek Golf Course. 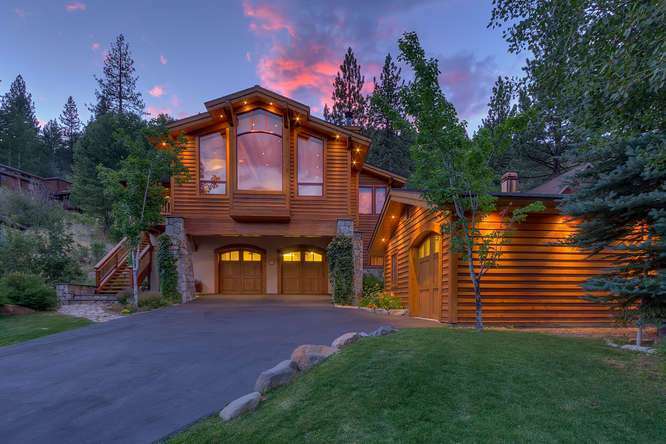 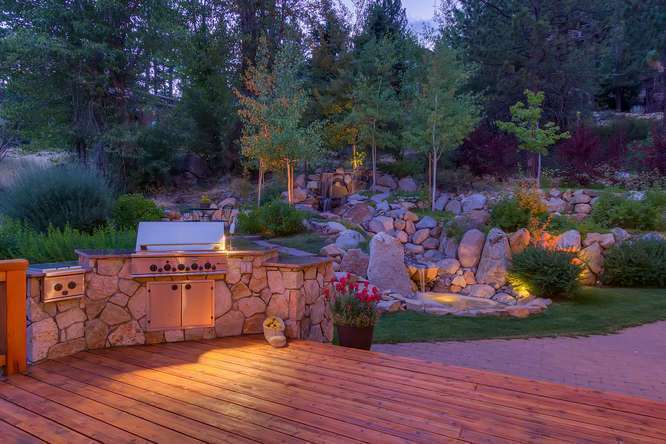 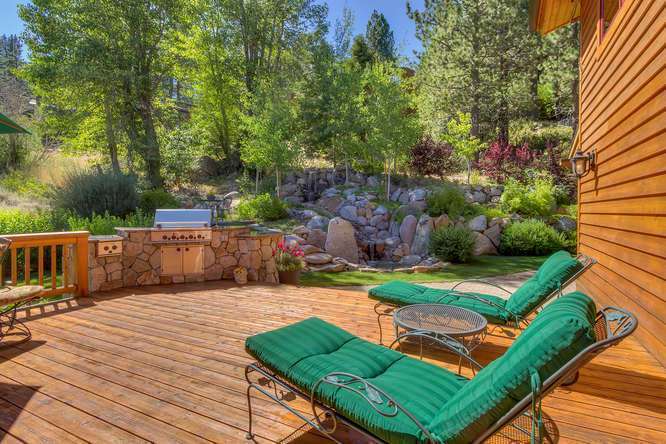 This luxury Squaw Valley estate has it all and is perfect for anyone looking to enjoy their time in Lake Tahoe.